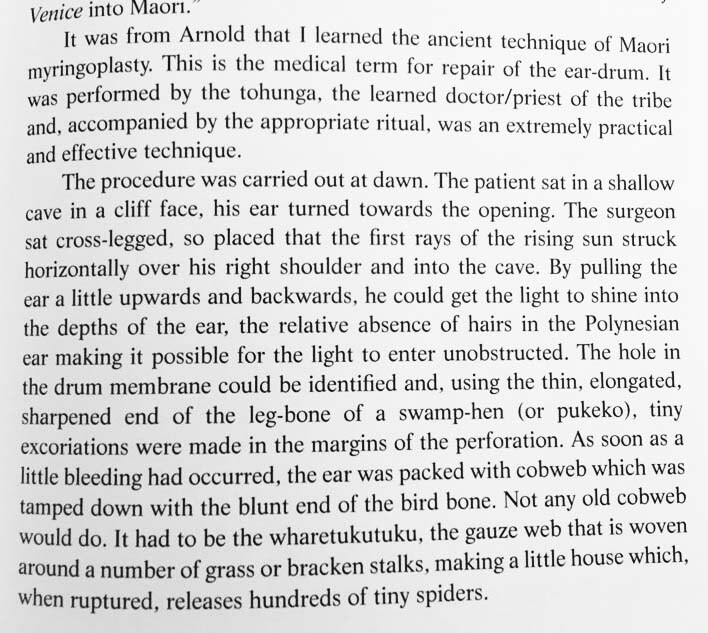 New Zealand ENT Dr. David Grayson alerted me via Twitter to the interesting factoid that the Maori (indigenous Polynesians of New Zealand) were performing eardrum perforation repairs using a technique that is startlingly similar to the way eardrum repairs today are performed. Of course, we currently use instruments better than a chicken bone and spider cobwebs. 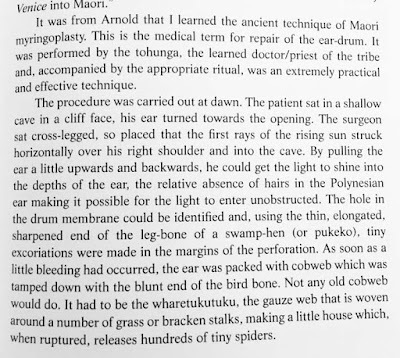 This description was documented by Sir Patrick Eisdell Moore (1918-2015). The first video shows actual surgical footage. The second is just animation.